Providing Cyclists with a low cost, yet useful and highly valued item is always a tough task for any Club or Event organisers. 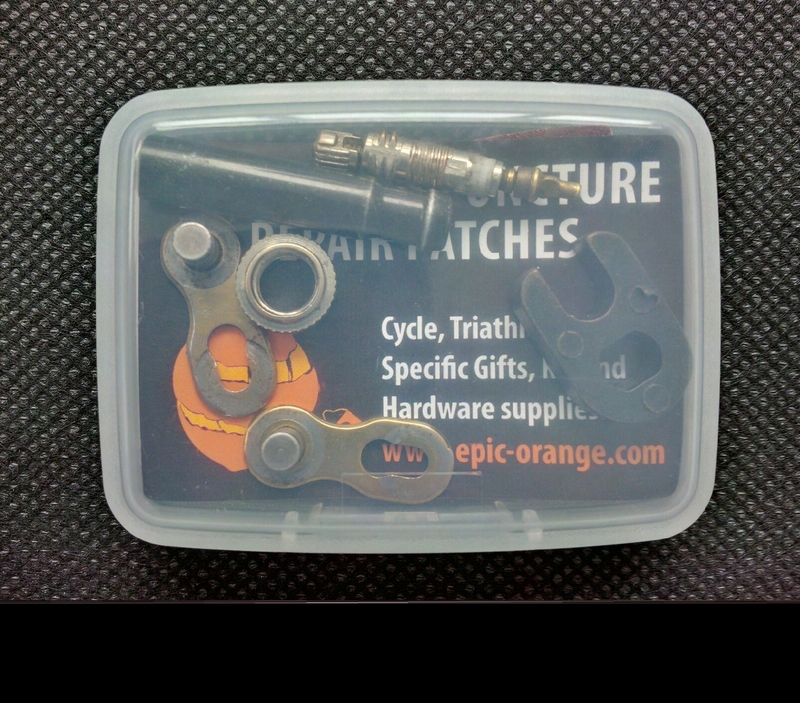 Fortunately EpicOrange now provide an extremely useful gift with good branding area and excellent longevity for your brand marketing; Custom Printed Self Adhesive Puncture repair kits from just 100 units! 12 patch kit supplied a in high quality box, the box is also suitable for holding other small essentials such as; Chain Link, Valve extensions etc.. Patches are made from Premium grade Thermoplastic Polyurethane with a pressure seal adhesive, supplied on perforated backing paper. 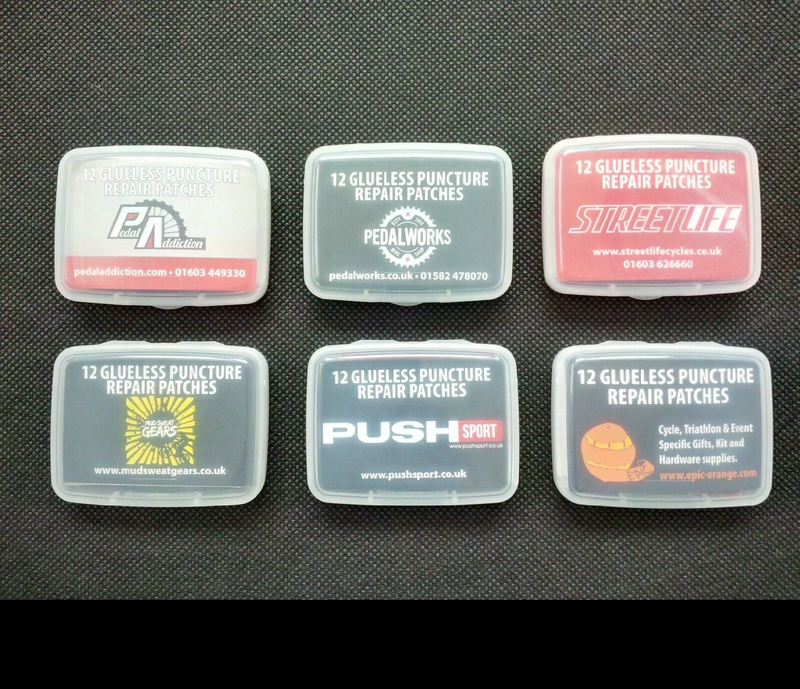 These are the very best type of patches available, they stretch with the tube to ensure a long lasting, reliable bond. 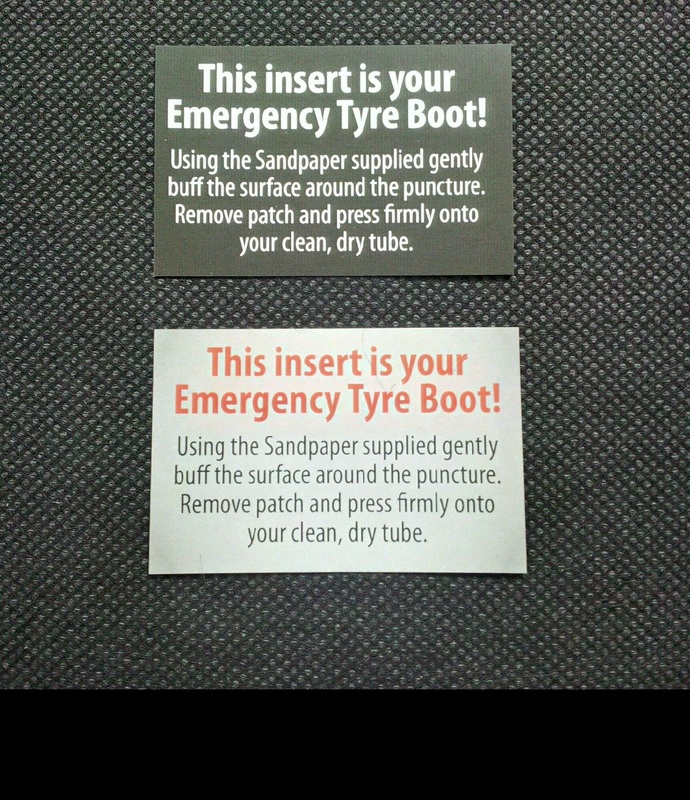 12 patches plus the Sandpaper strip and Custom Printed Emergency Tyre Boot insert. Inserts and printed both sides to your bespoke design in full colour. 12 patch kit in high quality box, box also suitable for holding other small essentials such as; Chain Link, Valve extensions etc. Patches are made from Premium grade Thermoplastic Polyurethane with a pressure seal adhesive, supplied on perforated backing paper. 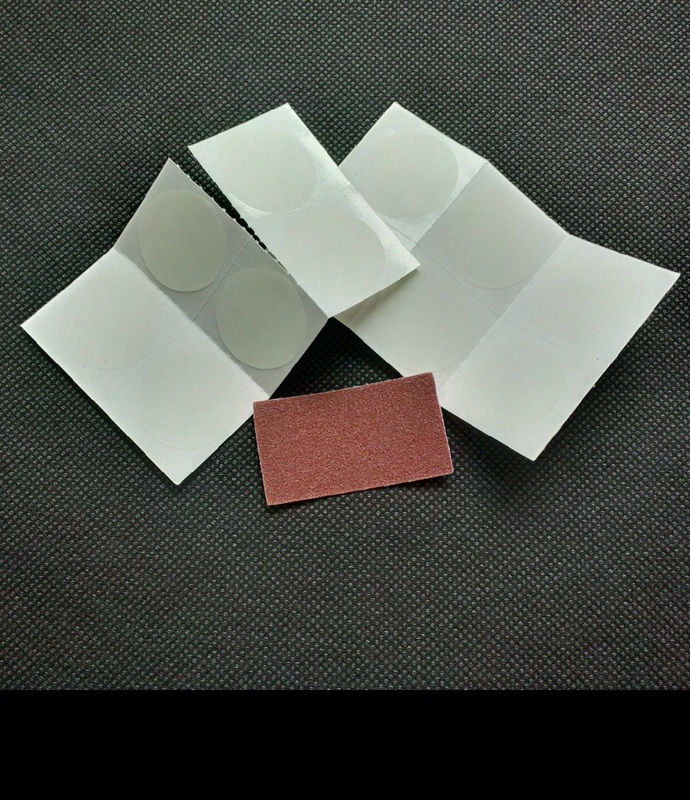 These are the very best type of patches available, they stretch with the tube to ensure a long lasting, reliable bond. 12 patches, Sandpaper strip and Custom Printed Card insert, printed both sides to your bespoke design in full colour. Our kits are available from just 100 units. Ideal for shops or event organisers alike. 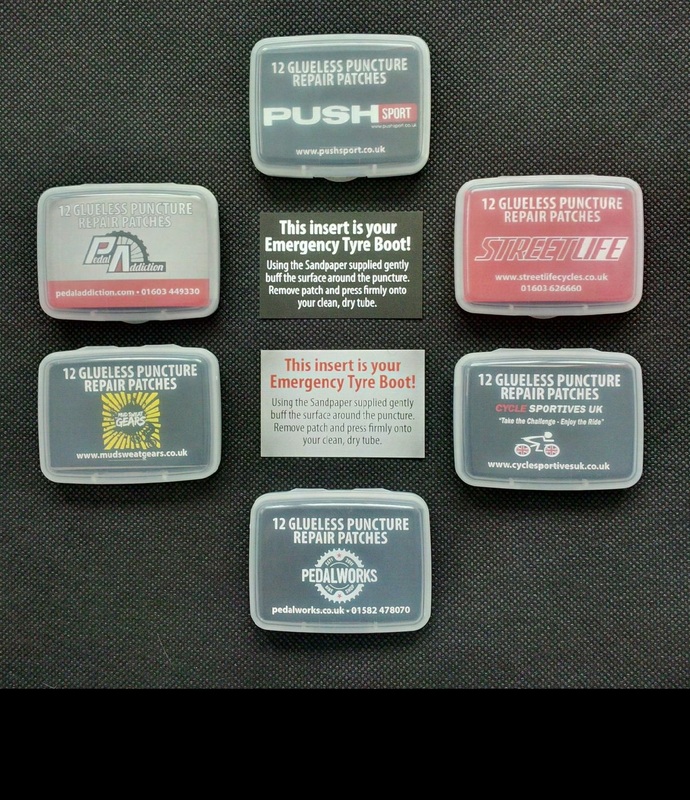 With 12 patches per kit and the optional 'Emergency Tyre Boot' insert they will provide extra longevity to your branding. The high quality boxes are also suitable for carrying small essentials such as chain links, valve core removers, valve cores and valve extensions.